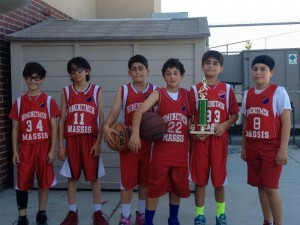 The athletic division of Homenetmen in the Western USA Region has a membership of over 3,000 young Armenian-Americans. It sponsors local league competitions as well as major regional athletic programs and activities. Team Sports such as basketball, volleyball, and soccer, as well as individual events such as track and field, tennis, swimming, gymnastics, karate and table tennis are among the activities taking place throughout the year. The athletic program, in keeping with its sold tradition, encourages the spirit of competition and team cooperation.